5C Laboratories provides labs with the confidence that their tests are accurate, reproducible and efficient every time. They approached us to establish the visual side of their brand. The goal was to convey confidence, so their visual identity needed to communicate that from the start. For the icon, we segmented part of a circle into 5 parts to indicate the 5 C’s of their organization. The bright colors referenced certain test tube caps, and we chose circle for the icon as a slight nod to the machines used for testing and the test tubes themselves. The multi-color icon gives 5C Labs the flexibility to set a variety of tones in their marketing and also creates a recognizable element to be utilized across print and digital platforms. The icon was paired with a clean typeface for the title and lighter typeface for their tagline. With the logo approved, we started working on the rest of their identity package. 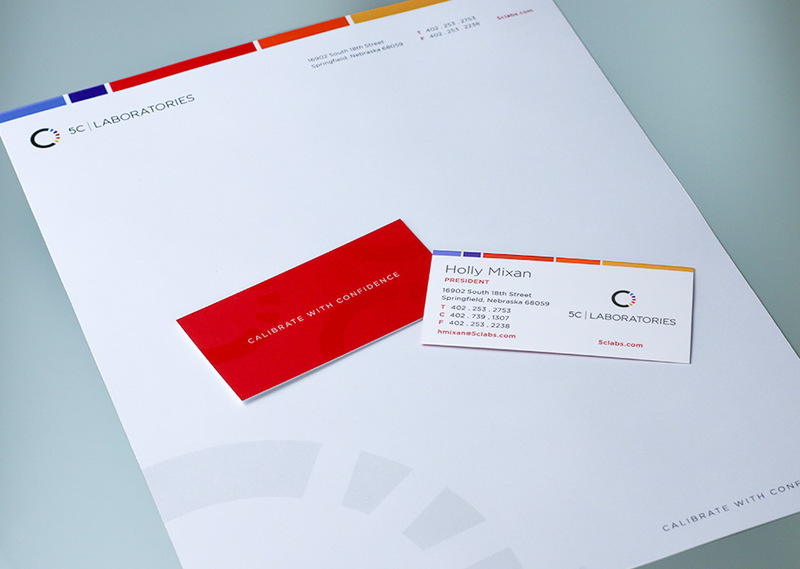 We pulled the colors from the icon into a colored pattern to run along the top of the business cards and letterhead. To make their business cards stand out, we added a dull, gloss varnish treatment to the back of the card. Utilizing that same concept for the letterhead, we enlarged the icon, placed it in a corner of the page, and screened it back. The last piece was the 5C Laboratories website. From a visual sense, it needed to be simple and display their professionalism. From a technical sense, it needed to be responsive for mobile users. As a fun touch to the website homepage, we created an animation using the icon to display the 5 Cs of their organization. Our Corporate Three Design team worked to incorporate the same attention to detail to the 5C Laboratories visual brand that they deliver to their own clients. 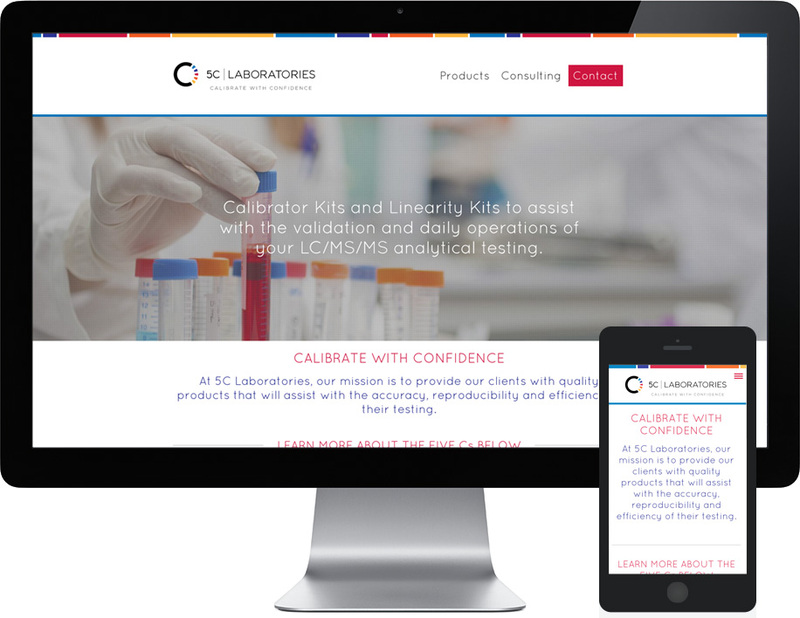 The result is a visual brand that speaks to who 5C Labs is before a client even has a conversation with them.